I had a fantastic weekend! 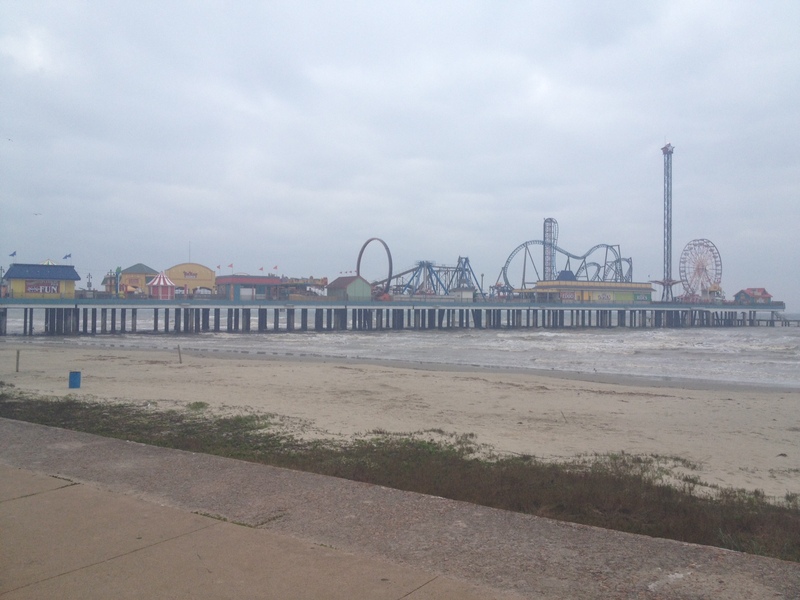 Wes and I went to Galveston with my best friend and her husband so that we could run our half marathon. Friday night we stayed up late catching up on each others lives and having some drinks. Saturday we explored the city, picked up our race day things, and laid on the beach. I had forgotten how much I love the ocean. Galveston isn’t nearly as nice as Florida, but it’s still a beach and it’s still the ocean. It was fantastic! Sunday morning came WAY too soon…I guess that’s what you get for not going to bed early the night before your half marathon. Lol! Heather and I did great! We finished the race and in pretty good time for our first race ever. I am so proud of us for making it through even though we only started to run 6 months ago! No judgements on the picture, we just ran 13.1 miles! Haha! The Diva’s run was SO much fun. It was almost exclusively ladies and a lot of them were wearing tutus and costumes. 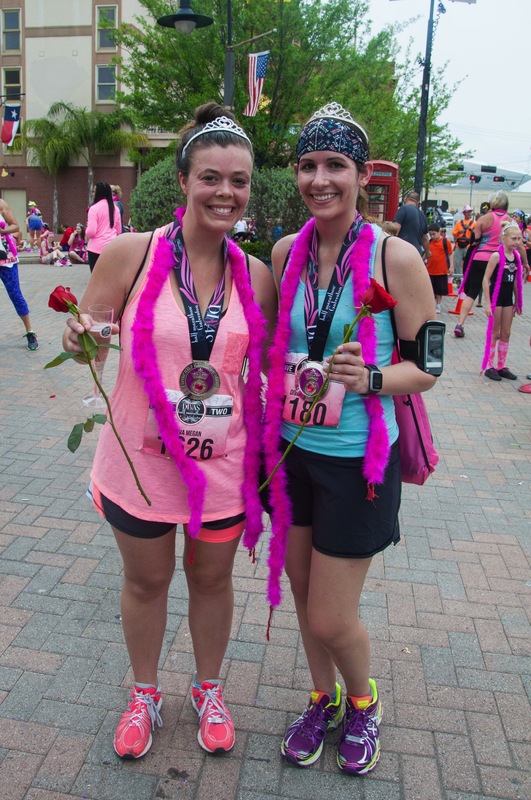 There was music, champagne, crowns, and boas…and our medals were pink and sparkly. Best race ever. This was the pier on the ocean while we were running. It was perfect running weather, cloudy and a little windy. It could have been JUST a little less humid though. 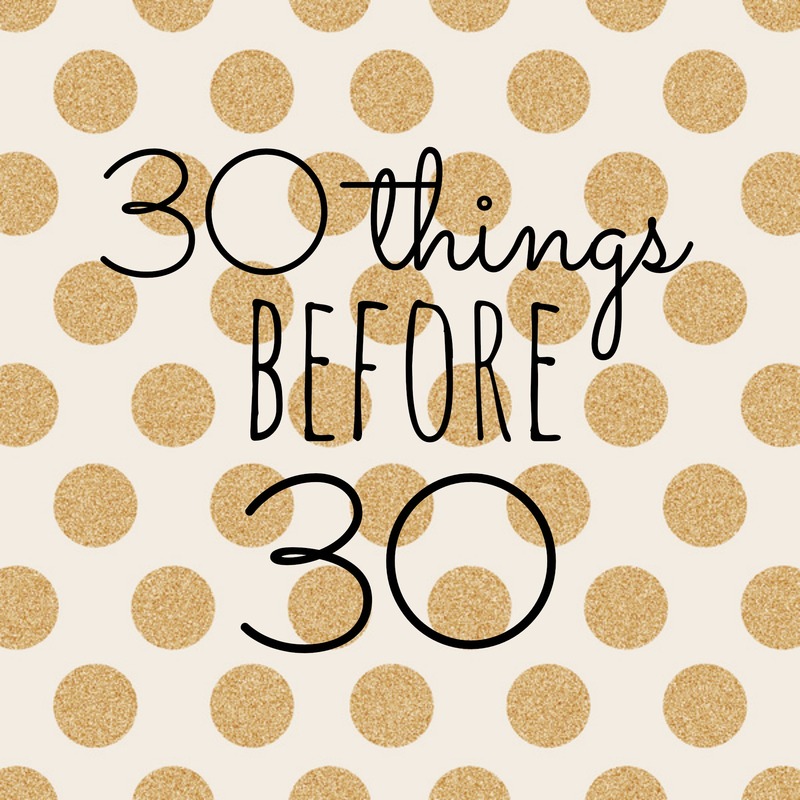 Our half marathon starts off my list of 30 things I want to do before I turn 30. I have seen a bunch of these around the blogging world, and with my 27th birthday coming up in June I figured now was a perfect time to make one. I’m really excited to cross more off of the list! Have you started a bucket list for yourself? Oh my goodness has the weather been great these past few days! It has been sunny and beautiful and has just made me beyond happy. Well, today is the first official day of spring, so I guess the good weather came about just in time! As most of you know, I am training for a half marathon in April. It is less than a month away at this point, and I am freaking out. I ran 8 miles (yes, all at one time) this past week and I was actually fine, but all I kept thinking was that in the race I was going to have to run 5.1 more miles after that. I think I’ll be fine, I have been training hard, but I still have a little anxiety that I’m going to trip and fall, break my leg, or stop breathing at some point in those 13.1 miles. One thing that has really helped me through this whole process is my work out gear. Yes, I know it’s girlie and silly, but the thought of getting new clothes, whether it’s for fun or running, just makes me happy. So, when Lorna Jane contacted me about trying their new Uniquely Lorna Jane line, I just about peed myself. (Another fear for race day…I am going to have to pee in that 13.1 miles I just know it!) 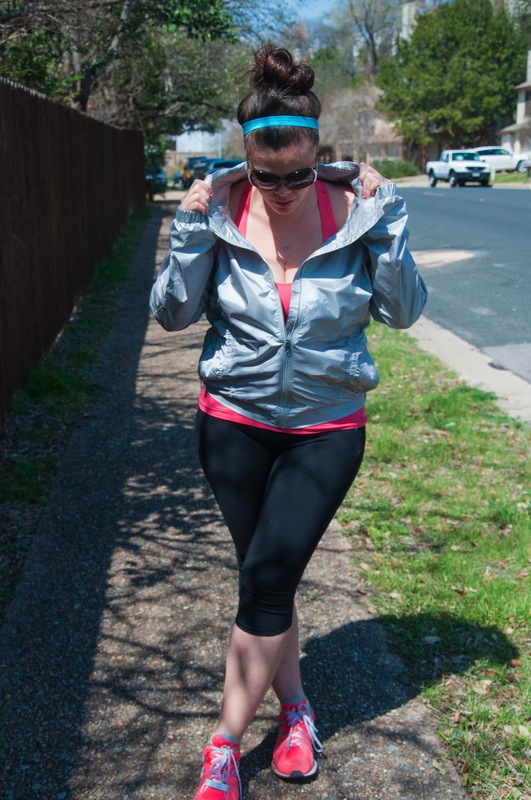 The line is so much fun and all of the items are so versatile you could wear them out running or at the gym and then cross them over into your other activities. The Amy 3/4 tights are my favorite. They aren’t full tights so I can wear them all through the year! I can’t do shorts when running long distances, I don’t have this “thigh gap” everyone keeps talking about and running 8 miles with your thighs touching…not cool. 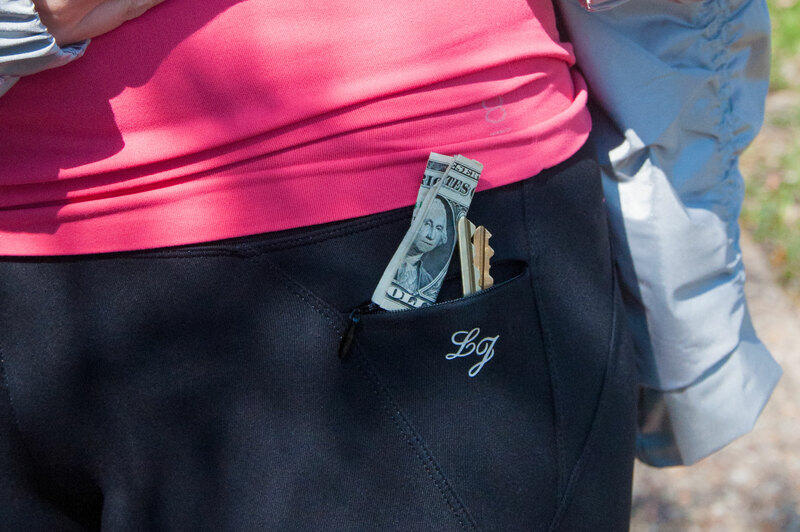 Capris like these are the only way to go for me, and this one even has a handy little pocket to put your money, keys, ID, anything you could want in. 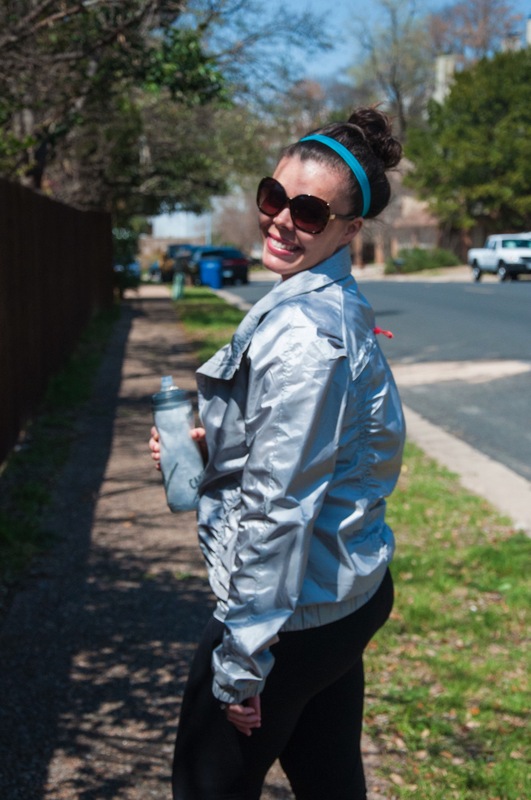 The reflect active jacket is perfect for running on those cooler brisk mornings, or a weekend like last one where we had 20mph winds! It breaks the wind and you don’t feel one ounce of the chill, yet it’s not so heavy that you sweat in it. I also love that it’s reflective! Now with daylight savings time its darker in the mornings and the cars will be able to see you a mile away in this baby! This jacket could also be used for a casual outing with your girlfriends or lunch with the hubby . It’s the perfect add on to give a plain white t shirt a little extra oomph. You should all join me for a Twitter party with @LornaJaneActive and @FitApproach tonight at 7PM CST. we’re going to be chatting about fashion and fitness and celebrating the new Uniquely Lorna Jane line! The most active participant will win $150 gift card to Lorna Jane to try out the new line, plus more SweatPink & Uniquely Lorna Jane prizes! You can find out any info you need here! Well, I have been running a few times a week since November and am on week 7 of my official training. Oh my goodness how much has changed! It’s so hard to believe that a few months ago I had to stop multiple times per mile and walk. I ran 6 miles yesterday. Ran. Yes, that’s right, I ran 6 miles straight. For all you regular runners that may not seem like much, but for a girl who hated running and could literally not run a full mile without walking 4 months ago….that is awesome! I stood in the garage after my run and marveled at the fact that my legs had just carried me 6 miles. I really think I could have run 4 more miles after just resting for a few minutes…this half marathon is in the bag! Now, in terms of healthy eating….that is a whole different story. I have been doing well on my breakfasts and lunches having Fruit or oatmeal for breakfast and a sandwich or salad for lunch. It’s the dinners that kill me…I feel as though it’s an every other day kind of thing. One day I eat salmon and veggies, and the next I’m eating pizza or tacos. I really need to work on the consistency in my healthy eating, but at the same time I need to acknowledge that I am doing so much better than I used to! 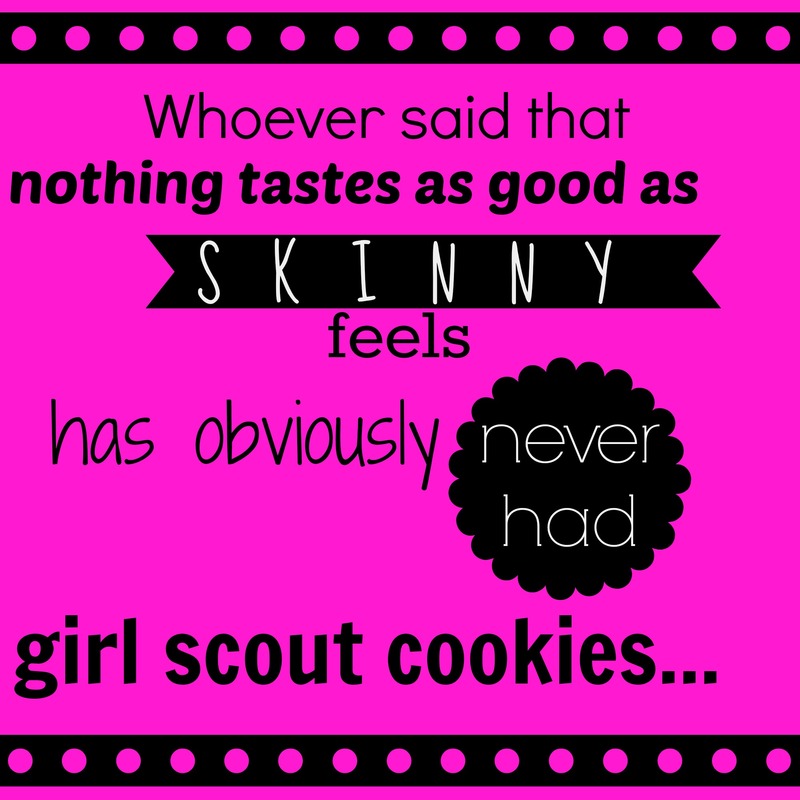 We only bought one box of Girl Scout cookies this year and they are long gone…I refuse to buy any more! What is your biggest weakness in healthy living? Happy Monday! I hope everyone had a wonderful weekend! I sat around and did nothing most of the weekend, just like planned (See the picture below, we didn’t move from this spot all day Saturday lol)! Traveling the past two weekends in a row really wore me out and I needed a little bit of time to just rest and recoup from it all. I did run my 4.5 mile on Sunday for my half marathon training though, so it wasn’t a complete lazy weekend. 1. Every day (Mon-Fri) there will be a new challenge. I have posted the calendar below so that you know what each day will bring. You will need to post a picture on Twitter or Instagram of the challenge. I don’t think it has to be you doing the challenge, but at least represent you doing it. 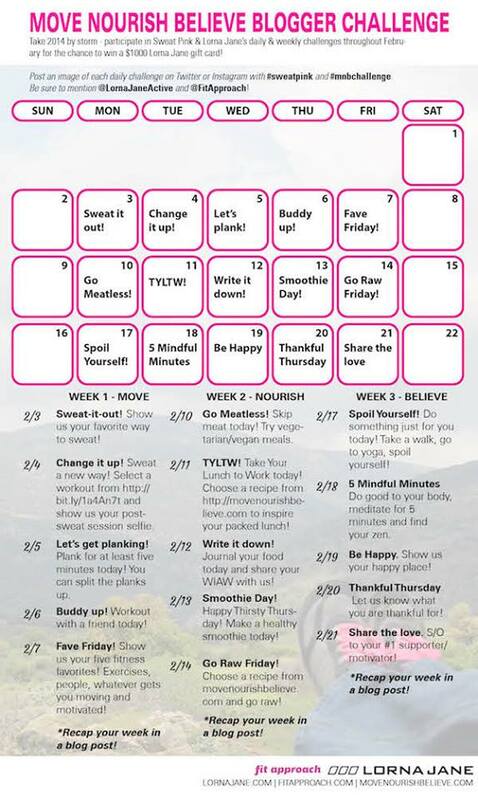 Be sure to tag @LornaJaneActive & @FitApproach along with #mnbchallenge #sweatpink #lornajane in order to get credit. 2. At the end of the week you can recap your week on your blog or Facebook page. Be sure to share your post on Twitter and tag @LornaJaneActive & @FitApproach. 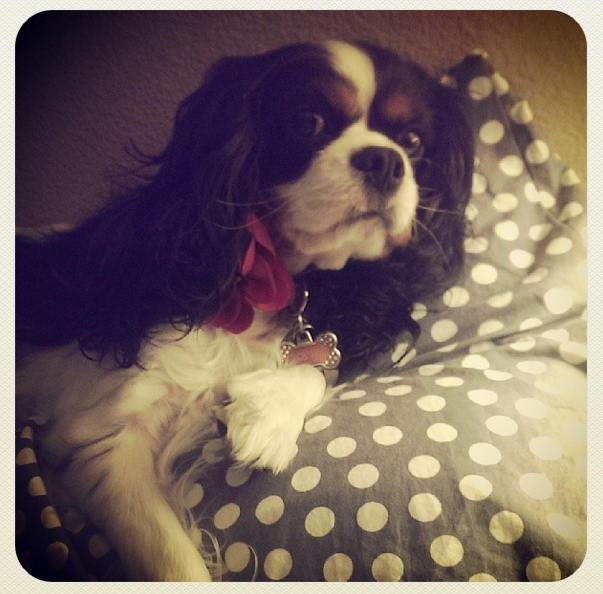 Every blog post will give you 5 extra points! 3. Every post will equal one point and the winner will be picked at the end of the month. The winner will get a $1000 shopping spree to Lorna Jane. In order to win the $1000 shopping spree, you MUST participate in all of the daily photo challenges. I would be beyond excited to win this! I need a $1000 shopping spree to get new work out gear! You all know how much I love to shop….and how new work out clothes give me SO much motivation! 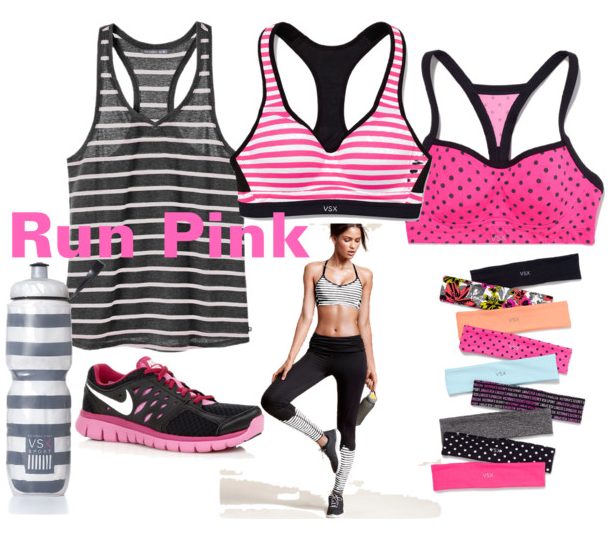 So, join me, your resident Sweat Pink Ambassador, and complete the challenge with me! Don’t forget to follow me on Instagram and Twitter to check in on my progress! If you do join in on the fun PLEASE let me know in the comments below so that I can go follow you as well! I hope everyone had a wonderful weekend! I was in Dallas visiting the parents for my Momma’s birthday. We had a really great dinner at Buca Di Beppo and took a couple of hikes with the puppies:) If you take away the fact that my eyes swelled up and I couldn’t breathe due to allergies, it was a great weekend! Lol! I am so grateful my appointment with the allergist is tomorrow…it’s time to take some meds! What motivates you to train mean?